The Sony Philippines are happy to launched their latest gaming console in Makati on Tuesday, January 14, which was surely hit the gaming industry in the country. 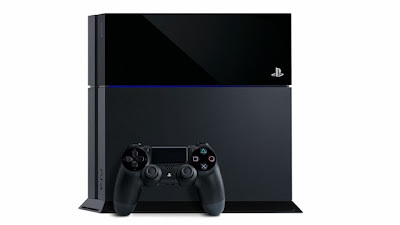 PlayStation 4 is now available in the Philippines for a limited stock only. But since last December, the PS4 pre-orders was started and almost 1000 consoles are been sold, according to SONY. The suggested retail price for PS4 is P24,999. Or if you like to buy the bundle packages, the prices are listed below. P27,399 - Battlefield 4 bundle. If you like to get 1-year regional warranty (Indonesia, Malaysia, Singapore, Thailand and Vietnam), you should buy directly to SONY Centers in Metro Manila, Pampanga, Cebu, Davao and Cagayan De Oro. According to Rappler, SONY sold 1 million units of PlayStation 4 in their US launch late last year. For the meantime, If you feel that this story are informative, please bookmark it now or visit this site more often for you to be updated. You may also share this post to your friends so they may know about PlayStation 4 - official Philippine debut. Comments or suggestions about "PlayStation 4: Is now in the Philippines, PS4 Price per bundle" is important to us, you may share it by using the comment box below.